This is a card that the Youth at church (Christ Community Church) will make to sell for $1.50 to raise money as their fundraiser. This year they are donating all the money they raise to the Pregnancy Care Center of Springfield, MO. A week or so ago someone broke into their storage unit and stole over $6,000 worth of diapers, wipes and baby clothes. So they are going to try to replenish some of the loss. So since I have a room full of scrap supplies I donate the supplies and time to design cards for them to make. I try to keep them simple but nice enough for the cost of $1.50. I hope I accomplished that with this card. I also tried to use up what I had on hand with cardstock and papers. So far so good! Remember this paper from YEARS ago!! Finally found the perfect use! 1) 365 Cards – Day 272 – Super Sunday Sketch. Use the sketch provided. I had the ideal to make it a window card with that image under the cover of the card. But once I did it I decided I like it matted on green and then another green frame around it. 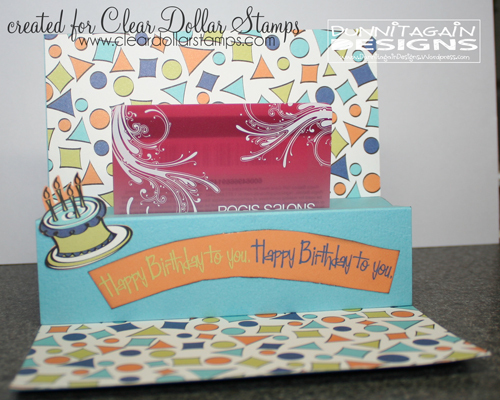 Gives it a double frame look and keeps the focus on the amazing cute stamp! I have four puppies so I love cards that have puppies on them. This image was easier to color then I thought it would be with all the little details. I hope you will come play at For Fun Challenges with us and show us your Christmas Cards. 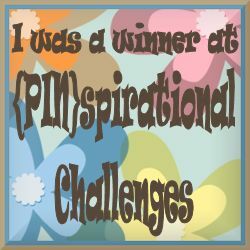 You might just win a prize from Michelle Perkett Studios. 3) Paper Playtime Challenge #61– Say It With Sentiments. Use Any Stamped Image on your project & don’t forget to add a SENTIMENT too! 4) Totally Paper Crafts Challenge #94 – Christmas. 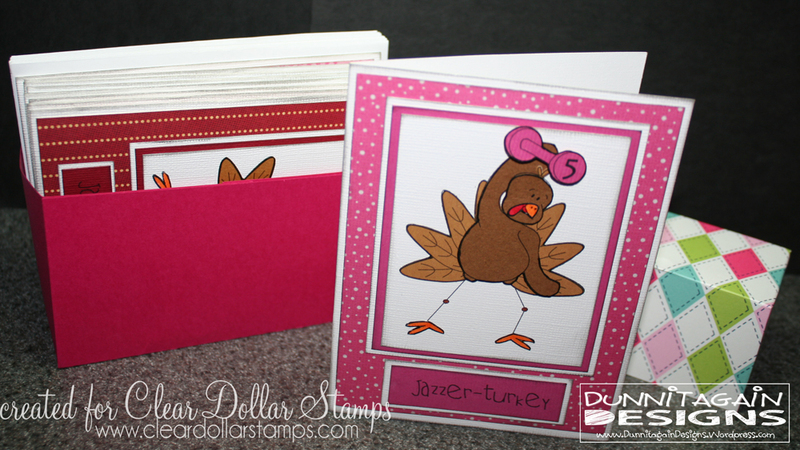 If you want to see how to make this please go to Clear Dollar Stamps blog – Clearly iStamp where I have a tutorial posted. 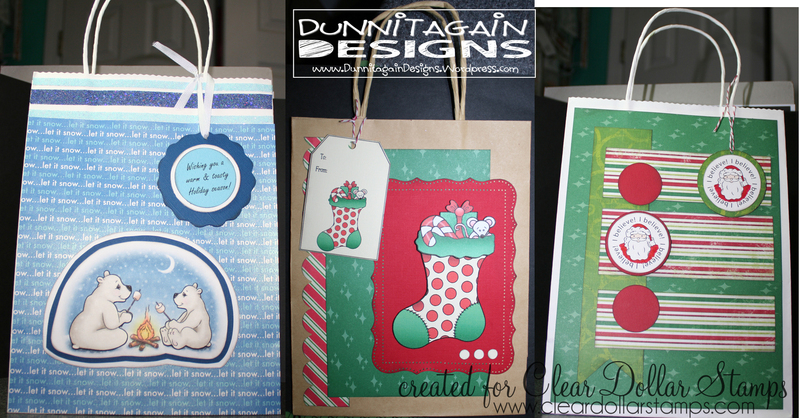 Wrap it in Style with gift bags! 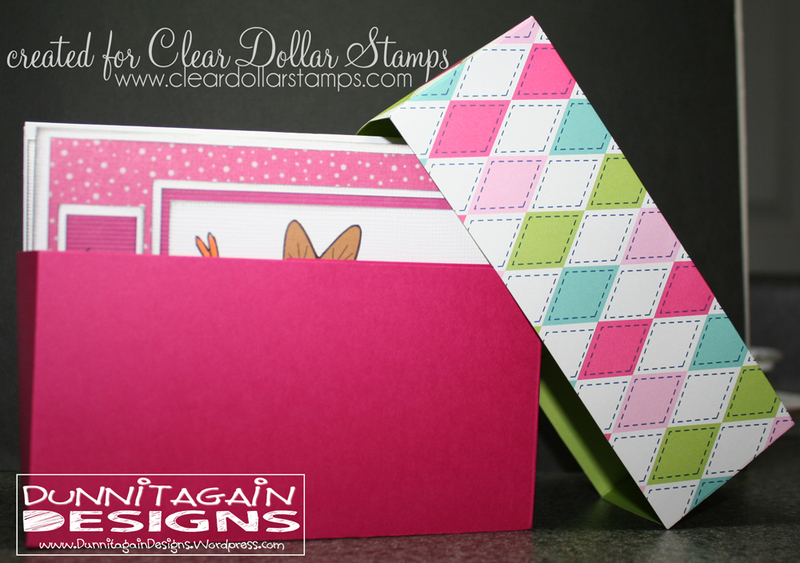 If you want close-ups and how-to check out my tutorial at Clear Dollar Stamps blog. 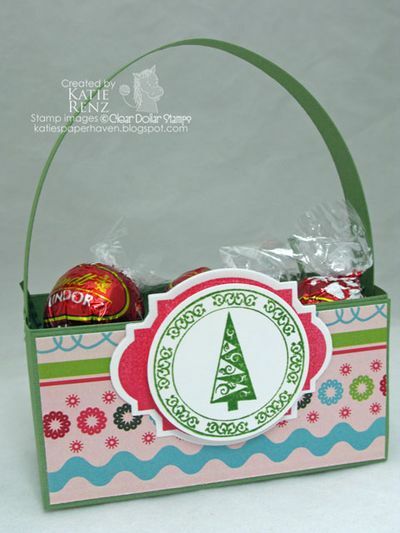 Carla of Carla’s Stamping Spot, chosen from Sara’s blog, Sara’s Sugar and Spice. 4) Stamps R Us – Bring on the Bling!! 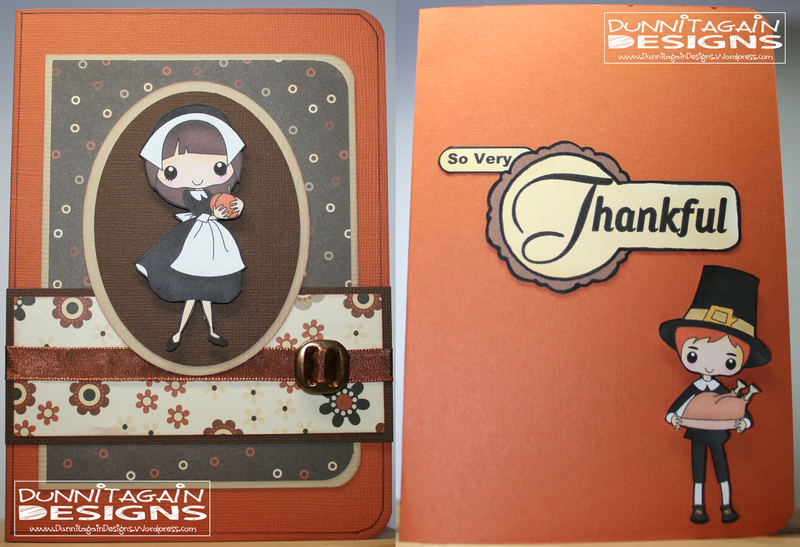 For Fun Challenge this week were being thankful- Make a Thank you card. I decided to do a thank you card for a friend. 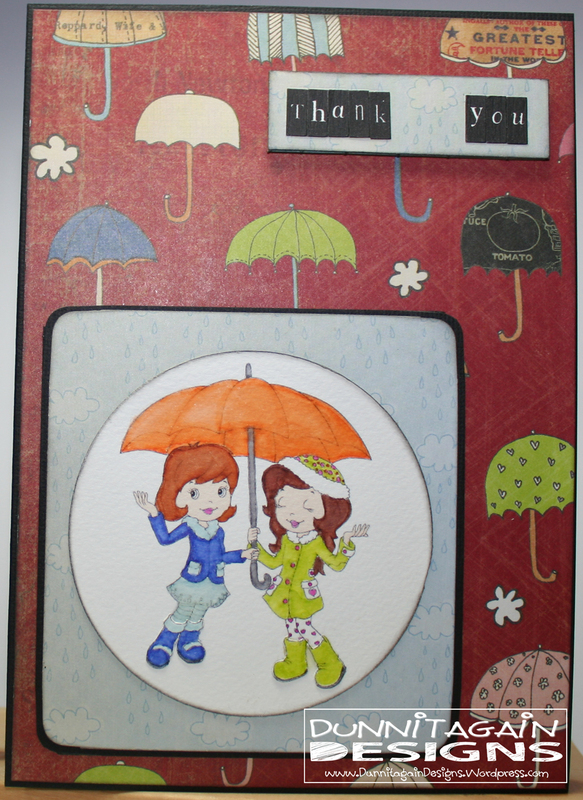 This image is called Sharing a Rainy Day by The Paper Shelter can be used for so many different cards. This time I made it into a Thank You card. I have not come up with the perfect sentiment inside but something to do about always being there rain or shine. Or helping me weather the storm. For playing in the challenge this week The Paper Shelter is offering a $15.00 Gift Certificate to one lucky winner. Winner will be announced on Wednesday at For Fun Challenges. 1) For Fun Challenge – thank you card. 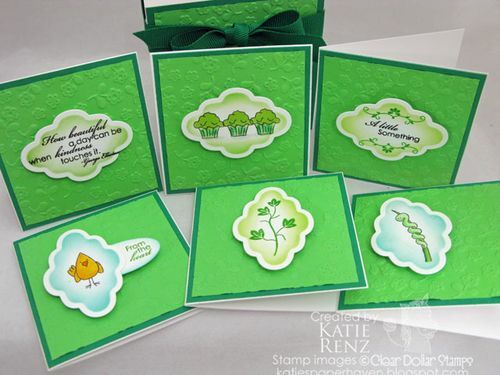 Today at Clear Dollar Stamps we are remembering our crafting sister, Katie Renz, who lost her battle with cancer on Nov. 7, 2011. After a year of sharing her cancer journey on her blog with all of us she is finally pain free and in a peaceful rest. The blog world will miss her. The crafting world has a hole that no one else can fill. But we can find JOY during this time of grief in knowing that if we accept Jesus Christ as our Savior then we will have eternal life with him. As you hop through each blog you will see how Katie has touched each one of us in her special way. Some were blessed with knowing her for awhile and some only got a glimpse of what Katie brought to Clear Dollar Stamps. I was one that didn’t get to know her but I couldn’t help but care for her as I watched and listened to how much the other DT girls loved her. 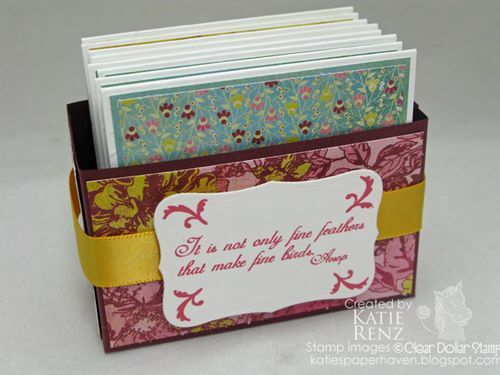 Today we are Celebrating the Inspiration of Katie by “casing” or “lifting” a card or project done by Katie. It didn’t take me long to see that Katie was the queen of making projects that were easy gift ideas. This is where my inspiration came from for my project to CELEBRATE how I was INSPIRED by Katie! Inside the cards some are left blank and others have “Thinking of you” and “Happy Birthday”. This is a gift for the owner of the Jazzercise I go to! This stamp was perfect. Look familiar? I got this ideal from several of Katie’s creations. I just left the handle off and resized it. Thanks Katie for the inspiration! I hope you started at the beginning of the blog hop so you could see all the wonderful creations that were INSPIRED by Katie. 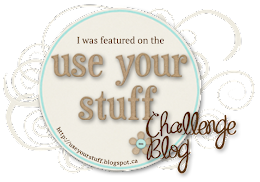 If not you will want to start at Lori’s Blog – Clearly iStamp. 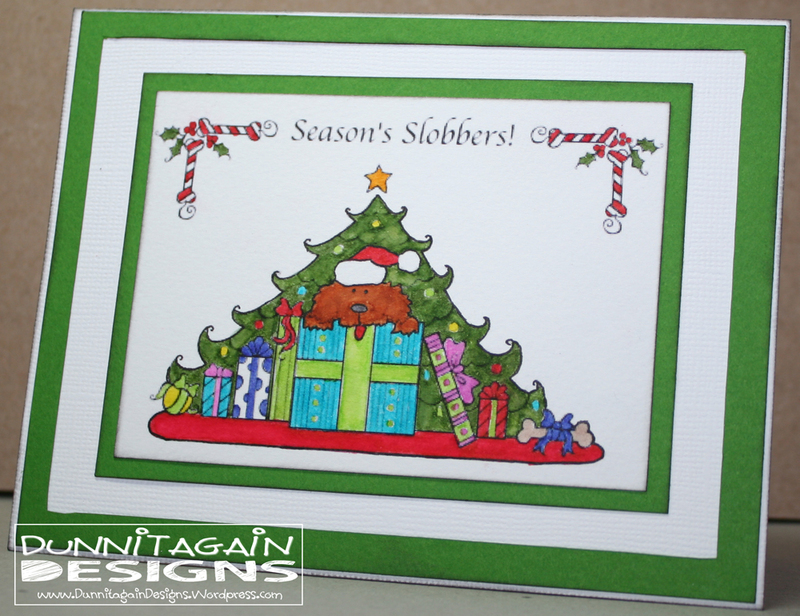 If you have been hopping along you should of came from Jerusha’s Blog – I Love Paper Crafting. To keep you hopping along you will go to Shell’s Blog – Shell’s Stuff next. If you would like to donate to the Renz family to help out her husband, Kevin, please go to Operation Renz Family. With Christmas right around the corner I’m sure he could use the help. Please go here to read more about this fundraiser!! And the awesome stamps you can BUY with all the proceeds going to Katie’s family! 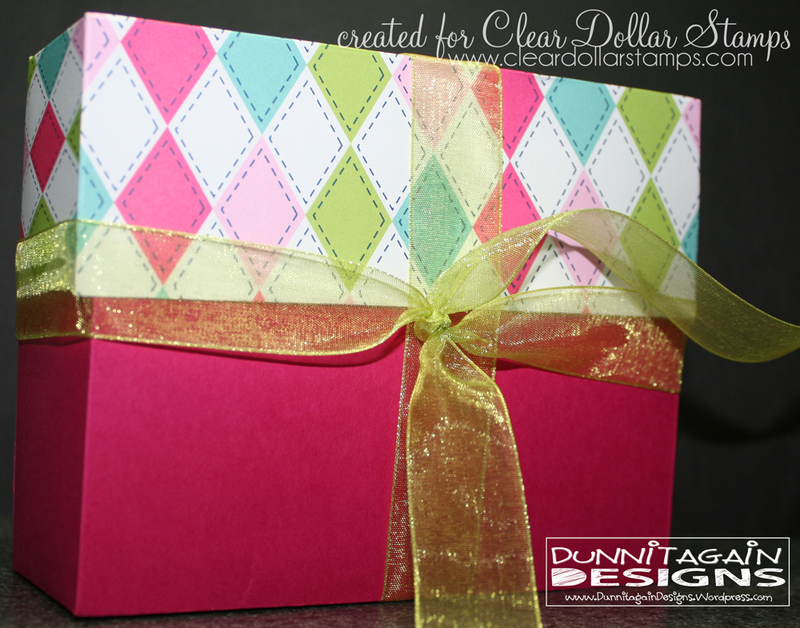 Cardstock/Papers: Cardstock – Bazzill, Patterned Papers – For the box I used Paper Salon (stiched harlequin) and Berry Blast Cardstock, for the cards I used misc from my scrap drawers. We are having Thanksgiving at my Father-in-laws with his new wife and family so I thought I would give this card to them as a thank you for hosting all of us. In order to enter, you MUST use a Digi My World image. 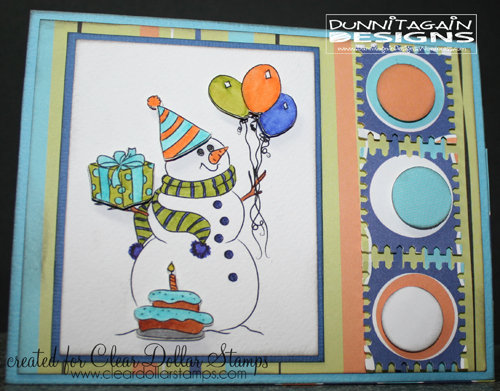 2) Paper Playtime Challenge #61 – Say it with a sentiment and have a stamped image on the card. 3) Penny’s Paper-Crafty Challenge #66 – Give Thanks. 5) The Pink Elephant (TPE126) – Giving Thanks. Come back tomorrow for a blog hop to remember Katie Renz who lost her battle with cancer.